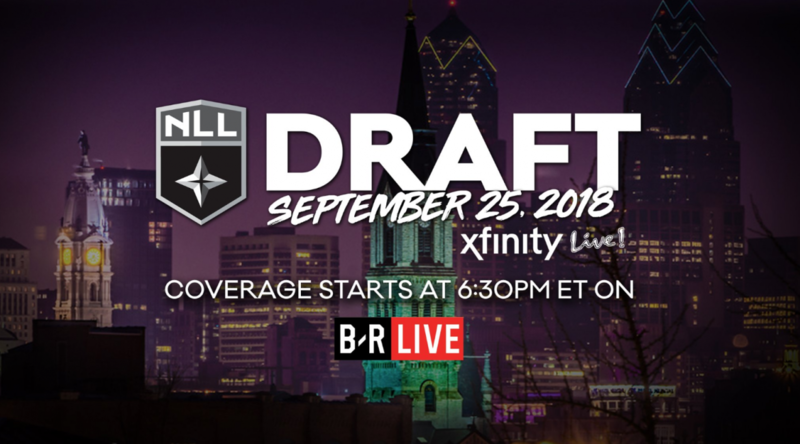 PHILADELPHIA, September 24, 2018 – The National Lacrosse League (NLL) will be hosting the 2018 NLL Entry Draft on Tuesday, September 25th, 2018 at Xfinity Live! in Philadelphia, Pennsylvania. Draft coverage will begin at 6:30PM EST and is open to the public. Fans will have the opportunity to come and witness the draft first hand, welcoming their team’s newest crop of talent. Download your ticket at http://bit.ly/2018DraftTix. To tune into the 2018 NLL Entry Draft, visit https://live.bleacherreport.com/. Live coverage will begin at 6:30pm ET with the Pre-Draft Show with Ashley Docking, Stephen Stamp, Andy McNamara and Devan Kaney.